from €39.36! Special offer! Free night: 7 = 6! The 3-star Hotel Atlantic is located in the heart of Budapest, in the vicinity of the pulsating life of the city, however guests are awaited in a friendly and quiet ambience. Hotel Atlantic is with large, comfortable rooms, breakfast room and closed parking lot at the guests' disposal, so the hotel is ideal accommodation solution both for tourists and business travellers. Due to its central location the sights and the business centres of Budapest can be reached in few minutes from the hotel. Hotel Obester ****, the world’s first Hussar hotel is an authentic curiosity in the historic downtown of Debrecen. 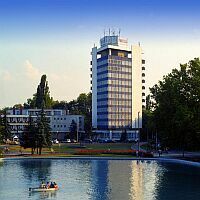 It is one of the hotels of Eastern Hungary with the highest standards. 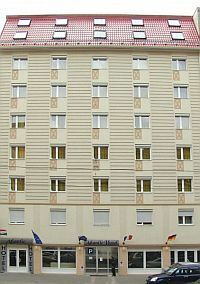 The unique four-star Hotel Obester commemorates the times of Hussars with the specific equipment and the exhibited objects. Uniquely equipped, comfortable rooms, luxury suites, wellness services and culinary indulgence are at guests’ disposal who wish to enrich with unforgettable experiences in an unrivalled ambience. 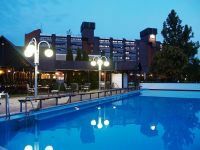 The 3-star Grand Hotel Aranybika is located in Debrecen, in Eastern Hungary. The three-star hotel offers 205 rooms. 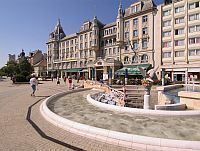 Guests can enjoy several programmes and sights organized by the hotel: 'puszta' programme in Hortobagy, dinner in a 'csarda', trip to Tokaj, etc.